You can argue with me all you want but most video games these days simply just don’t have the same replay value of classic games. No matter how mind-blowing the graphics or deep a story-line goes, video games just aren’t what they used to be. Don’t get me wrong, video games these days are great and I myself play them for hours on end but I will still pick up and thoroughly enjoy a classic arcade game from time to time. 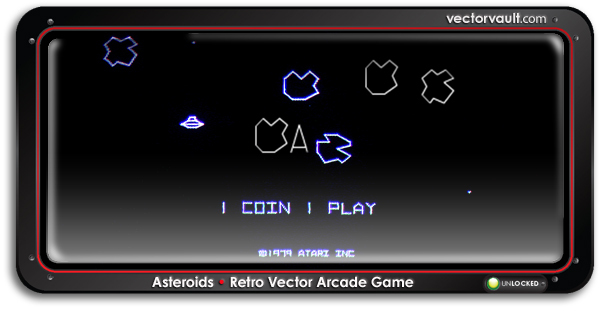 Asteroids came onto the scene in 1979 and was entirely vector-based, simple graphics composed of only white lines. It instantly went on to become one of the most popular and influential games of the “Golden Age” of arcade games. 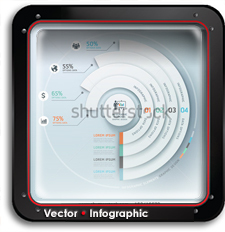 For those unfamiliar with the game, Asteroids is played on a vector display in a simple two-dimensional view. The player controls a spaceship in the middle of an asteroid field and is periodically attacked by flying saucers. The goal is to shoot and destroy asteroids and saucers while not colliding with either, or being hit by the saucers’ counter-fire. Try the web browser version of the game yourself. 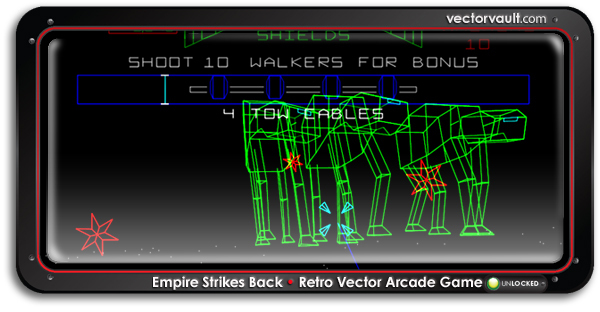 Then a game like “Star Wars” came out a few years later but was in a 3D environment with coloured vector graphics. You essentially play the role of Luke Skywalker piloting his X-Wing in a first-person view with the goal of destroying the Death Star like in the first movie. You can see a more complete list here on Wikipedia. And I highly recommend just trying some vector-based games directly on your browser here. Many people still play these games to this day, trying to beat high scores that are sometimes over two decades old. 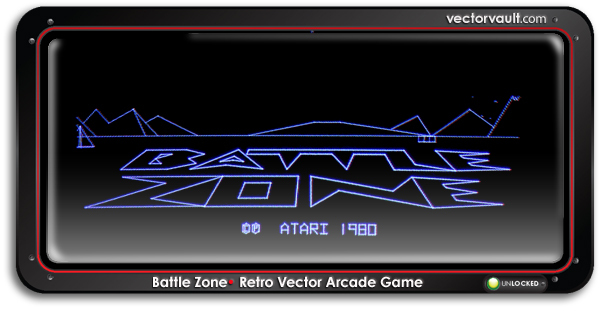 Check out the Twin Galaxies website to see some of the top classic game scores of all-time. And you’d be wrong to think that the production of these simple vector-based games are dead. 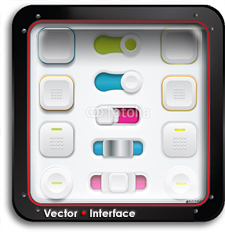 Check out ‘Vector Tanks‘ for iPhone/iPod Touch for some handheld fun. And if we really got you into vector games, definitely check eBay out once in a while and you may find a used Vectrex console to get your vector-based video games fix! Really miss playing these games. Does anyone still use emulators to play classic games? 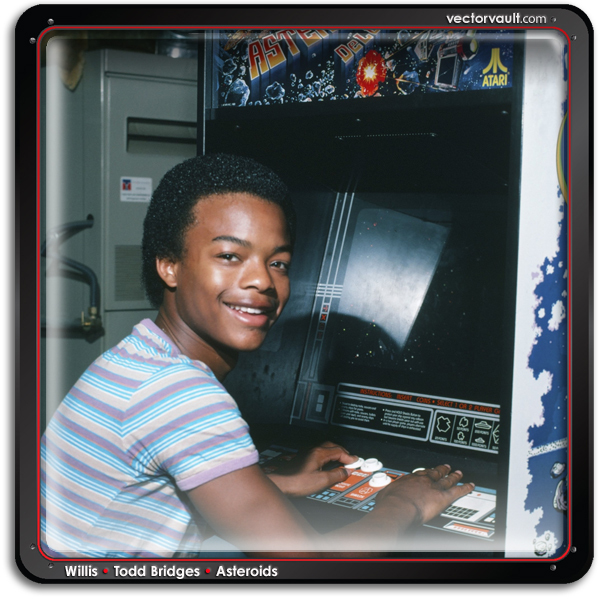 Many hours wasted infrom of asteroids. Still has good handling. That and Centipede. I love that game.